To share information about community conversations between law enforcement and local communities, IUPUI and the City needed to know local organizations who could help spread the word. They used SAVI’s data tools to identify the community assets, like churches, community centers, and shelters. They visited each one and shared information about upcoming community conversations. 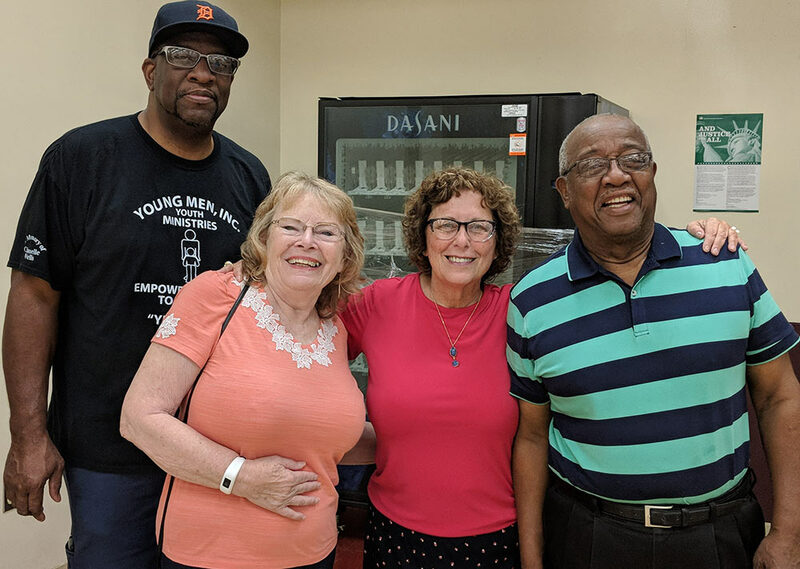 Councilors Simpson, Pfisterer, Cordi, and Oliver at the May 2018 Community Conversation. Trust is basic to any relationship. People need to believe they’ll be treated fairly whether they’re dealing with friends, family, or their local government. The criminal justice system is in crisis, according to Marshawn Wolley, because many communities don’t trust it. The system is badly flawed on those counts, Wolley believes. But he’s going beyond just criticizing from the sidelines. He’s actively trying to change it. And that’s where SAVI comes in. 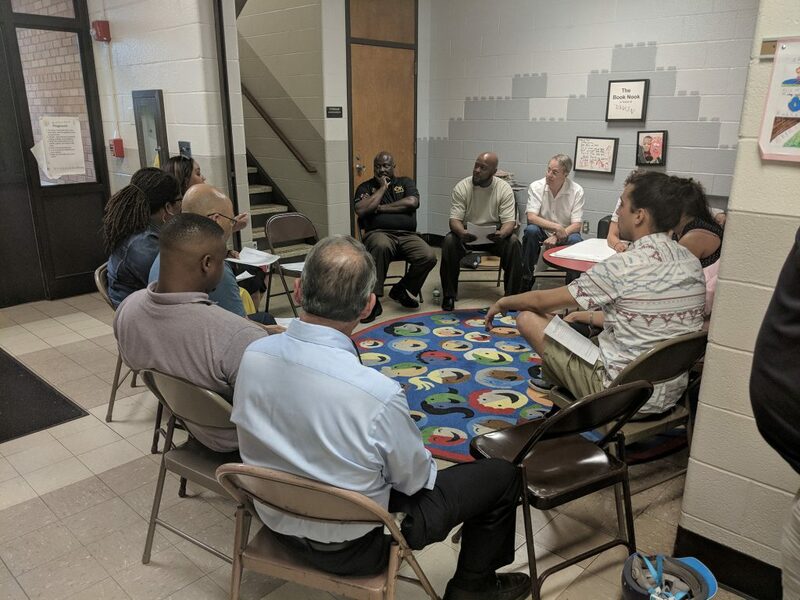 Wolley, the director of community engagement and strategic initiatives at IUPUI’s School of Public and Environmental Affairs, has helped organize a series of community conversations between law enforcement and local communities, in partnership with the Indianapolis City Council. The most recent conversation was at George Washington High School, on the city’s near-west side, in September. The area has a large Latino population. But for those conversations to bring people together, the community needs to know that they’re happening. So Wolley and his team used SAVI to identify the community assets located near George Washington High School, like churches and community centers and shelters. Then they visited each of them, talked with the leadership, and asked if they could hang a flyer with information about the conversation. Using SAVI has been a revelation, Wolley says. It not only gives you an overview of what’s out there. It gives you a sense of how much you don’t know. SAVI’s great advantage was that it allowed Wolley and his team to approach the project in a comprehensive and systematic way. Conversation alone may not be enough to rebuild trust between law enforcement and vulnerable communities, but the new channels of communication are already having an impact. For example, the Indianapolis Metropolitan Police Department (IMPD) began requiring “implicit bias” training for new recruits and supervisors this year, and it has posted the rules that govern the IMPD to its website. More broadly, the conversations have laid the foundation for continuing progress. “They’ve helped raise awareness in the community,” says Wolley, who was especially pleased with the high turnout of young people—and their passion for reforming the system—at the September conversation.